Yummy Yellow women's sport bikini. Cupcakes Green women's openback suit. Cupcakes Yellow women's openback suit. 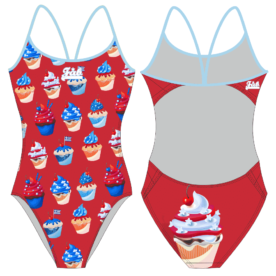 Cupcakes Sky Blue women's openback suit. Cupcakes Purple women's openback suit. Yummy Sky Blue women's openback suit. Yummy Cherry women's openback suit. Yummy Navy women's openback suit. Yummy Navy women's sport bikini. Cupcakes Pink Thiny women's sport bikini.